Klopp is constantly FM’d irl. Real Madrid (in particular Cristiano Ronaldo). You may find a few surprising things. That's not even "FM'd". THat's all flat out impossible in the game (which I personally think is a pity not merely on a "stats" level -- analysis suggests to replicate Burnley the tactics engine would need much higher flexibility for a start as they don't even try to stop their opposition from shooting -- they try to squeeze the frame/space in front of their goal so that they spam worse shots). Unless, perhaps, you just throw the bodies forward and have your sole centre back assigned to manually man mark the opposition keeper (the game won't stop you, so beware). I wasn’t being entirely serious there. Is there only 1 female face for all female roles in FM18? All I see is the same face whether there are a physio or reporter or any other role? And is the replica shirts proliferation a bug that will be fixed? PS How do I assign myself to a coaching programme to improve my coaching abilities? Thanks for the response. Will check point 2 and await with bated breath point 1. Well, i have started to Play some Season and to my pleasant surprise my Club did well - promoting fomr German League 3 to 2.Bundesliga in Season 1, almost promoting again in Season 2 but winning only 3 of the last 15 Matches coming short 6 Points and starting to make some Money - i still played the 2nd seaons with the Team i composed in Season 1 and have changed loans into permanent transers so i have in Season 3 only 2 new Players. Somehow chanign a loan to a permanent seem to damage Team cohesion that with the same Players suddenly has become very bad. Loans a sort of an exploit if you cant buy Players as you can loan them to the end of contract and than contract them without Transfer payment (but of Course you have an buy Option in the loan Agreement in the case another Club wants the player). Injury Time - the Injury times in this game are too long - i probalby average around 5 minutes in haftime 2 PLUS additional injury time from 45 to almost 180 seconds. Example - game is 4-3 against my Team and 6 mins injury time (without any inury and i dont waste time playing attacking Football) my Team equalizes in min90, grabd the lead in min96 and concedes the Equalizer in 90+8 - remind that the injuriy time was 6 mins...so that is 2 mins additonal time for nothing. The result is yaddayadda - i wont neither relegate nor promote this Season as i am injury ridden (but not in this recent match) and in a secure Sport with so many Points i would not relegate stopping to make any Points but with so many Clubs ahead even a wining streak will not bring me up. This is only the recent example of excessive injury time plus excessive additional injury time and you qeustion yourself if the game wants to troll you and my answer is yea - it does! the injuriy time was 6 mins...so that is 2 mins additonal time for nothing. Except the three goals scored after the additional time was announced. It's okay, I was for you. The next bit is going to be deadly, deadly serious too. The term "getting FM'd" is thrown out way too oftenly. If it isn't an actual bug, misleading/missing feedback or some serious knock-on effect in the match engine: What 99.9%* of the time somebody who claims he's "getting FM'd" really needs isn't a patch. It's having his goggles checked. And getting a specialist treatment from one of these neuralizers from Men In Black. So that he can forget about all that fluff sensationalist punditry has broadcast into his living room ever since he had been a toddler. That way, the coding lads may be allowed to focus on actually more urgent matters too without all that yelling. Like, seriously. * the other 0.1% can be attributed to availability heuristic, confirmation bias or some dreadful download tactic mass published around fan sites, which the game/AI may not always respond to properly. All making the phrase of "I'm getting FM'd" probably the single most grotesquely misused phrase in all of sports language history. Probably even topping "He MUST score." And that's an achievement. there were 2 Goals in Injurie time, one Goal was in Minute 90 which is still regular time and two Goals dont make 2 minuntes additional time and is not consistent with Injury time in 1st half anyway. - do wide midfielders tuck in when defending? 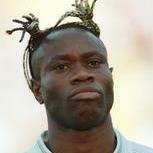 - do central midfielders still cross over when closing down, leaving huge holes? - do sweeper keepers actually take up aggressive positions and rush out? - is it possible to make strikers drop back behind the ball? - do liberos actually venture into midfield and get involved? Do they actually make an effort to get into shooting positions on attack duty? - do centre backs reliably split to allow a half back or playmaker to drop in? - or a centre half who steps into midfield? - Yes, depending on which role and duty you choose. They do this on lower mentalities. - No, unless a. a player has high teamwork and someone fails to do his job properly or b. you have opted to PI his close down excessively, and finally C, you have done a specific OI and your mentality is low enough to cause convergence when closing down. - Sometimes, I've seen it once or twice, but its probably due to factors that I have not identified clearly yet. Others have told me they have experienced aggressive sweeper keepers. - Yes, they can on lower mentalities, but they don't stay there. Once most of your team is behind the ball, they do hang around the shoulder of the last defender looking to break free. I have seen my strikers drop all the way back near the penalty area do tackle players. Will I depend on this, no cos it limits my ability to hit on the break, and having both strikers do this is just asking for teams to take pop shots at me. 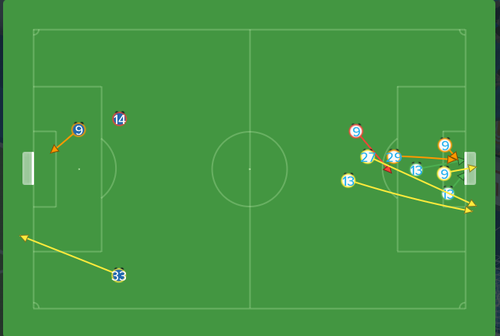 - Liberos do not take attacking positions for long shots at goal or work to get inside the box. 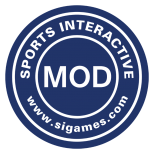 - You will need to try the demo out to see if you are satisfied with the way the defenders split. - Yes you can have a defend duty in midfield who doesn't play like a PM and does not go mental in closing down. - Yes with the right combination of player attributes and player traits. I did try this out early on in FM18 by editing the attributes and the ppms to see the behaviour of a player and I got my defender venturing into midfield spraying balls out to the flanks. It does require you to come up with a strategy to give him that kind of space to work into and others looking for those kind of spaces to run into. c. Getting my wide player midfielder cutting inside and then going wide just at the right moment to deliver a cross into the box for a goal. Now if what you said was not possible, or at least some of what you said is not possible, then we would never have won either game. And I do recommend trying out the demo ceefax. Which role can achieve this? If I use CM-De the closing down option is fixed as closing down more and the setting is dimmed I can't change it. Only DLP-De allow to adjust the closing down level. Regarding this, if you want you could change CM's default closing down by lowering the team's closing down and the mentality, there will be two types of closing down at the same time. It's a bug known by the developers but in two years they never took the trouble to solve it, it was more important to change (worsening) the game screens. It doesn't work. The closing down level for CM-De remain more no matter what team settings I changed. I prefer a DMC on support as he still carries out his defensive duties but his closing down can be reduced so he does not stray too far away from the centre leaving CBs exposed. You can also add 'hold position' as a PI. Yes it's true, I wanted to highlight the problem of double pressing individual which obviously doesn't solve your problem. Regarding your problem, unfortunately lowering the closing down in that role is impossible, you have to change the role and use a role that performs similar functions with less closing down. In these years I have always used the anchor man (more defensive and less devoted to playmaking tasks) or a DLP/D with "tackle harder" and "close down less". In fact I never understood why a DM/D should have the default instruction "close down more" while the DM/S can be highly customizable. In reality the one who should provide a greater closing down is precisely the second more than the first. It seems incredibly difficult for an anchor man to generate high match ratings despite high interceptions, tackles and pass completion statistics. In a counter tactic, they also act like a traffic cone as their closing down is set so low. It isn't a problem shots like this happen in FM. It is disappointing that they happen so often. Why when I make a substitution within the 3D game, from the sub icon (not going into tactics), do I not get the option to give that new substitution a team talk? Or am I missing something? I dunno if this has been discussed on any other threads, but after playing 50+ games the ME feels like it's in a pretty poor state, worse than the final version of FM17. Score totals are mostly realistic but the way the goals are scored is much less so. Shooting from the edge of the box is absolutely diabolical. Accuracy is insanely bad and there is almost no danger in letting your opponents pepper you from that range. Crossing and long balls into the channels seem to be making up for the lack of goals produced by the terrible shooting accuracy, and teams that play wide and direct and pump crosses into the box seem to overperform. I hope things get a little more balanced in the next patch. Change PPM "Tries to play way out of trouble" with "Tries to Dribble out of trouble" or something else. It leads to misunderstnading. I still feel that players' decision making is nowhere near good enough, something in the algorithm is not right. I'm seeing the kind of decision making from top PL players with good intelligence - Decisions, Anticipation, Vision etc that I would expect to see in League 2 maybe. In real life Premier League football, or any top league equivalent, you just don't see bad decisions in such a massive volume. Chances tend to break down because of poor execution of the right idea, or good defending, not because the player makes an insane decision. It's just too damn often that I see a wide player in the box with 2-3 players completely free for a pass or cut back, try to shoot from an impossible angle. Or players taking too many long shots. Or a player being in a 1v1 with the keeper with acres of space and no one to bother him, but instead of running on goal he pops a shot from the edge of the box. Mainly it just feels to me like players' instincts of when to shoot are just wrong. Both shooting when they shouldn't and\or shooting too early. Does the pre-Match Tactical Briefing Reminder, help in any way. If so, how? How do I stop competition screens landing on "Competition Review" when I want it to land on "Fixtures & Results" instead? Is this possible? My preferences is set to land on "Stages", it's not even doing that? This is also doing my head in, blank boards around the pitch in front of the advertising boards? Only seems to be the stadiums that have vertical advertising boards, not the lower league stadiums - is this a graphics card issue or a bug? Yes. I am going to allow one of my best players to leave for free. Tenth offer. From ten different clubs. I have raised this for the previous four/five FMs. I'm in League Two, Burnley are Premier League, this game was a Turf Moor, yes we are rivals but we took them to extra time, being 2-0 down, making it 2-2 before losing 4-2 in extra time. We actually played really well over the 120 minutes. I expect it is due to his contract ending in the summer. The clubs are just trying their luck. 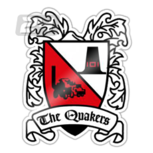 By the way who are Tytherington Rocks & what level do they play at? I am currently in the eighth tier. In England. 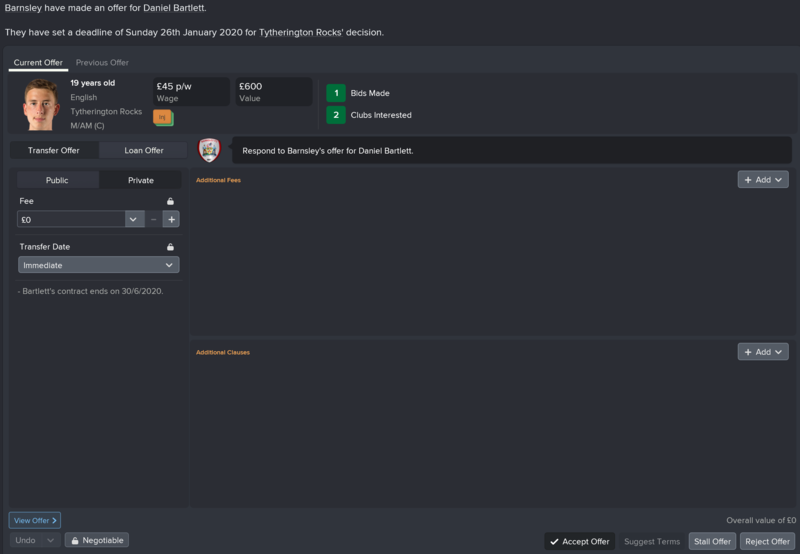 It is the 25 January and this is the tenth offer I have had for the player. Well, you need to play the AI at it's own game - tell them you'll sell for £120m. I did. Well, £7.5m anyway. They ran a mile. Then the next day I got another offer of £0 from another club. Ah well. Persistence and dogged determination are admirable qualities in an AI . If he's one of your best players, why haven't you offered him a new contract by now? That would stop teams trying to poach him. Because I do not have the wage budget to give him what he wants. I will do when promotion is secured and I am given new budgets. When giving a team talk, do you have to click "end" for it to register what you've said? or can you just click top right and continue with the game? You can offer him the new contract to begin at the end of the season, the budget for this takes into account players that you've set for release. I know. I hadn’t set any for release at that point. Moot point now anyway as have won the league and renewed contracts. 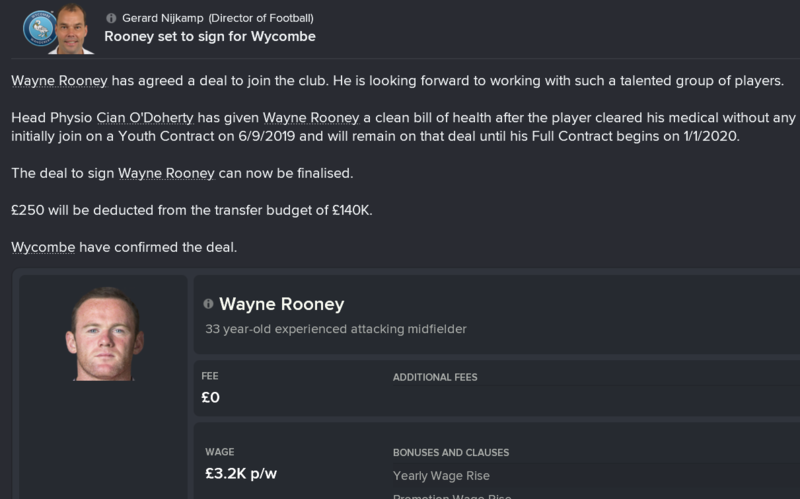 Not content with signing Rooney for St. Johnstone on a previous save (expensively released from contract after 2 games) - I've now signed him on a different save for League 1 Wycombe. However - he is on a youth contract. Is this normal? Why is the player history trial bug not fixed despite being reported in beta? Why do you always remind me of some retired German referee? I'm confused, are things wrong with the game not actually wrong if they are found by certain people? That doesn't seem like the approach of Worldwide #1 Customer-listening champions, SAD! P.S. this issue was dealt with in PM with NB the day the account was opened - not exactly top sleuthing. Echo this. I've stopped playing until the new patch is released as I just don't fell comfortable with the ME. Crossing is so overpowered. 1) Long shots. Don't think I've scored or conceded a Long shot so far this season. They are comically bad. 2) Offsides. I watch on Comprehensive and it's seems like every other highlight is an offside. It's just boring. 3) Crossing. As mentioned, I think it's overpowered and seems to be the majority goals that I score and concede. Don't mind conceding from crosses, but when you want to sit back and utilizee your big defenders and limit space against a short, weak attacking player; only for him to consistently get on the end of crosses is frustrating. Is there a problem with BVB finances? I am asking because after the end of my 1st season, I had 320mil in balance with 190mil transfer budget without selling any of my key players. This surely can't be true, I don't believe that BVB have this much money to spend. Is this in FM 18? It drives me nuts, every version of FM has this. Player recives ball ( most often a striker) he has a clear path on goal and instead of running he shoots?!?!? Even when player receive the ball inside the box, instead of taking a few steps forward to close the gap to the goal and actually be 1 on 1 with the keeper they shoot the ball straight at the keeper or wide! Why is not this addressed?? I mean game after game, FM version after FM version this exist. I remember it from FM 07 and 10 years later THIS IS STILL IN THE GAME ROFL. Glad that somebody cleared that up at 5:40 (or rather revealed how in-game this is really tuned). At 5,000 views though, not enough reach, probably. I haven't actually had issues with injuries in FM18. If you pay attention to players' match load and don't play them when it's Heavy unless you have to, you'll be just fine. My team has been one of the most injury free in the league for the past 3 seasons just by doing this, I've only had issues with players who are very injury susceptible (torn ACL's in the past etc). It does mean heavy rotation though - I do think players should be able to deal with slightly higher matchload, I feel like right now it's too easy for it to get to Heavy and too slow to go away. The new medical features, then, are pretty good. I'm not sure if the match load system was always there under the hood or not, but it's good that the game finally gives you some guidance as to how to avoid injuries. I know it can't be disscused here but please send me solution in private msg who knows...How can I fix brazilian club colours, names I fixed but the colours are still wrong. I want to play south american save and this is a game breaker for me..can't find solution anywhere!